Best Dentist in Cancun. Making World Class Dentistry Affordable. 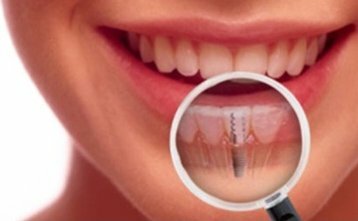 Dentistry in Cancun has become a popular and affordable solution for all kind of dental procedures, from dental implants to cosmetic dentistry. In Dental Design Studio we reinvent your dental vacation in Cancun experience with the most professional team of dental specialists. Our team of dentist in Cancun will giving you time to enjoy all the beauty and adventures Cancun and Riviera Maya has to offer, while you get a world class dental treatment at affordable prices. Dental Design Studio is a premium dental clinic in Cancun, we have invested in our technology, our materials and most important in our staff of highly qualified dentists, this helps us to provide the best dental experience in one of the most beautiful places in the world. Most or all teeth affected? Why we created Dental Design Studio? Dental Design Studio was created after noticing a lack of quality in the dental services in Cancun, regular cheap dental clinics have thousands of bad reviews and complaints about time and quality of their dental services and low-quality materials. Our dental services in Cancun are focused in providing a pleasant experience combined with top quality dental services with worldwide recognized brands. All of our products and services are guaranteed since day 1, we only use top quality brands to ensure the results of the dental services we provide. Highest recommendation here in Cancun, Dental Design Studio and the whole staff! I flew 3 hours on plane from Georgia to Cancun, and that hasn't stopped me from returning. Their staff makes a great job creating a hospitable environment to all guests. Clean and up to date facility with an in-house 3D scanner and in-house lab (no longer needing to wait weeks as some facilities send them from lab). Scheduling and appointment is a breeze with a very communicable receptionist and patient care coordinator ensuring you get your reminders. All doctors always greets you with a friendly smile and takes an interest in your wealth being, which make you feel like family. With any procedure you take on, their goal is to make you feel as comfortable and painless as possible. You can see they enjoy their work and take pride in what they do. While you wait for your crowns to be adjusted, you're fully reclined on a dental chair with headphones on, and with a full selection of movies to watch. 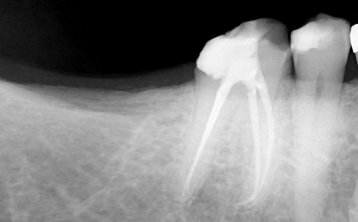 I had several root canals, crowns and an implant placed on my vacation week, and once I came back home I went back to work like nothing happened! Funny thing, I didn't understand why people cringe when I tell them I had all of these procedures just a couple of days ago. I had a pleasant experience, I can't imagine trusting any place else but here. Again, I want to thank all the friendly staff from Dental Design Studio for accommodating my needs and always taking good care of me! 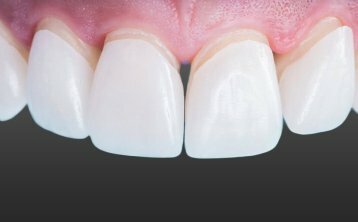 My experience with Dental Design Studio was excellent. I was very impressed with the amount of time the dental team took in reviewing, planning and explaining the entire procedure in very specific detail. It was so nice to see all the different specialists..... prosthodontist, an implant specialist, endodontist all working together to provide me with the best plan that was specific to my needs. Upon arrival, my teeth were in a horrible state due to erosion by acidity. I had several implants and root canals and left with a beautiful smile. The convenience of having their driver pick us up at the airport and then be available to drive me to all of my appointments was a bonus. 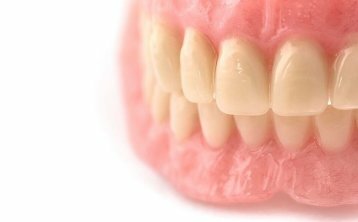 I have had lots of issues with my teeth over the years and I have been to many dental specialists and I would not hesitate to recommend dental design for their exemplary work and I need to add the beautiful pristine clinic. Thank you to a great team! My experience at Dental Design Studio was way over what I expected, and I can tell you that my expectations were high! The people you see on their website are the actual people that take care of you and I can tell you that they are really experienced, professionals. They go way over the kind of service that you are used to in Canadian dental clinics... They take care of you from your arrival(personal pick up at the airport in a Cadillac Escalade) to have you taken in and back for every visit. Their clinic is equipped with state of the art technology and communication is excellent (at least in english from my experience). I had work done on my teeth that would have cost me at least double at home. Dr Miller is not only an excellent dentist, but he is also an artist who design you a really natural looking «perfect» smile. As for Dr Galvez, he did a root canal treatment on me that felt like just a little restoration to me, half an hour after leaving his chair I was eating lunch with no pain at all. Dr Aurora was excellent at explaining the treatment plan and doing the initial examination. Everybody else in the clinic was extremely friendly and helpful for anything that you needed. I am from Sherbrooke, Qc, Canada and I'm willing to talk about my experience at this clinic with anybody who wants to hear about my experience. This was an amazing experience, most professional, down to earth doctors. Way above expectations. Our state of the art Lab and Dental Technicians will digitally design (CAD/CAM system) and manufacture your new set of teeth. Final details and placement of your desired smile, we check you feel comfortable with the results so you keep enjoying your vacation!